We had just finished an official dinner hosted by the German Ministry Officials at the end of the meeting of Quadripartite agreement partners. Gerry Whent, Peter Carpenter, Ted Beddoes, Robert Priddle and I were booked into the same hotel. Robert suggested we might all return to his room to review what we had heard from the Germans and French at the Dinner. It was around midnight. We had just had a glass of whisky thrust in our hands when Robert suddenly sprung the subject on everyone of Vodafone being “loaned” one MHz of the GSM frequency channels. There was no mention of the trade. The reactions were quite unpredictable. Gerry Whent from Vodafone went into the most amazing string of calculations. It was all done out loud. Following it made me quite dizzy. In about five seconds he had deduced that the one MHz would give him about an extra 10,000 customers. “This was wonderful news” he exclaimed “Vodafone is absolutely delighted.” I sat there with my eyes out on bean stalks and nothing to do with the whisky, which I hadn’t touched. What had happened to the proposal that was so contemptible as to be not even worth considering? The sheer apparent joy of Gerry Whent had Peter Carpenter from British Telecom within seconds in a rage or so it seemed. Robert Priddle said, “Let’s sleep on it”. I caught Peter Carpenter at breakfast next morning. He was back to his normal very rational self, which made me wonder how much of the previous evening was theatre. I advised him not to overplay his hand. “Put your trade to Robert Priddle this evening on the way home and if it is not outrageous you may find him receptive”. That evening as we moved towards the check-in counter I headed Gerry Whent and Ted Beddoes to one side. “Let Robert Priddle and Peter Carpenter take a seat away from the rest of us “I suggested, “Perhaps Robert can talk Peter Carpenter into taking a more reasonable attitude on the GSM channel issue”. Next day Robert Priddle said what had transpired. 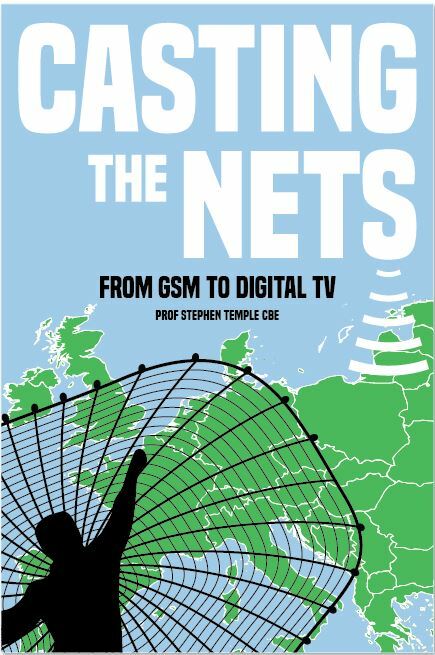 Peter Carpenter had demanded agreement in principle to the extra paging channel and an agreement to British Telecom being able to buy more shares in Cellnet for the purpose of disposing of them in back to back deals with other European operators. In return he agreed to call off the campaign against the DTI giving Vodafone any channels and issue a favourable press release when the Ministers decision was announced. Robert Priddle, in “reluctantly” conceding the paging channel, made it clear that the timing of when they would get the paging channel would have to be left to OFTEL. Peter Carpenter said that the main thing was to know that they could plan on it being granted. Within the next few days things moved swiftly. Legal advice was taken, details sown up and the matter ready to put to the Minister. Mr Pattie suggested we explained the matter to our opposite numbers in France, Germany and Italy. I took the liberty of also briefing a Commission official Christian Garric just in case the draft directive was to go horribly off the rails. The 9 to 10 MHz issue did get briefly mentioned in the Council Working Party at a very late stage. The UK suggested it was far too late in the day to be making any radical changes. The Belgian presidency supported us and Christian Garric on the part of the Commission held his peace. The briefing had proved prudent. The final touch was the DTI press release. The target audience was Europe. “Mr Pattie rejects the Vodafone request for the GSM frequencies channels but…lets them have a few channels used in Germany for cordless telephones”. That should get the message across I thought. The draft came back from the DTI press office reading “Mr Pattie gives Vodafone much of what they want !”. A brief stand up row with the press office ensued. The press officer explained that classical information policy was that Ministers always had to give good news. They must never say anything negative. We explained that our European policy required the message to be negative. As we were driving the policy and not the press office he should back-off. The press officer reluctantly backed down. The reward in terms of press coverage was pleasant indeed. “Pattie defuses cellular radio row” in the Financial Times set the tone. This was particularly helpful in view of its wide European circulation. Cellnet remained bitter about the outcome. However they had put their case to OFTEL and lost. Prof Carsberg’s ruling had clearly given a higher priority to effective competition than fair competition. But for the rest it was smiles all round. The Secretary of British Telecom told a senior official at a social event ” a just about adequate sweetener to what might otherwise have been a very bitter pill”. This was taken to mean that they felt quite pleased. British Telecom’s paging rivals had not been disadvantaged. OFTEL had already decided to give British Telecom the extra paging channel. The timing was still in their hands. Taking Gerry Whent at face value Vodafone were pleased with their extra 10,000 customers. Manufacturing industry were pleased that the European opportunity was still on track. Our European partners were relieved that we could still be relied upon in spite our quaint embracing of something called competition. For me it was a narrow escape from the makings of a first class disaster. I was not entirely out of the woods. An unexpected ambush arose, this time on the draft EU directive. Another DTI colleague took me to task for giving sovereignty away to Brussels (again) this time in the area of frequency channels. This seemed a very extreme view. The UK had already accepted the MAC broadcasting satellite directive that had set the technical standard to be used on specified frequency ranges. All the GSM directive was doing was inverting the logic. I couldn’t see any practical difference. Second the pan European digital cellular radio service was a UK policy objective and the draft directive supported this. Third I argued that this was the very area where it made complete sense for EU action. There couldn’t be pan European radio services without pan European frequency ranges being identified. He was unconvinced. The next thing I knew was that he had put a paper into EQO, the Cabinet Office official inter Departmental Committee on European matters. In it he suggested that the rest of Whitehall might have an opinion on this major ceding of sovereignty in radio frequency spectrum. The Chairman was a bit bemused to find that the only interest in the paper came from the two DTI officials present. Arguments were put and he arbitrated …on my side. (Note: Later Prime Minister John Major was to secure agreement from the EU on remitting some legal powers back to Member States as part of the deal over the Maastricht Treaty and the Cabinet Office trawled around Whitehall for ideas of what might go on the list. Somebody in the DTI put frequency spectrum forward and it was remitted back under national sovereignty).